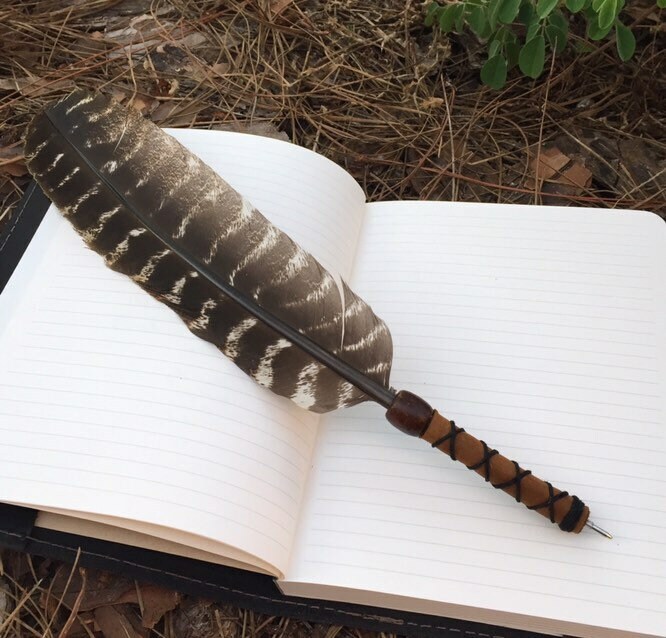 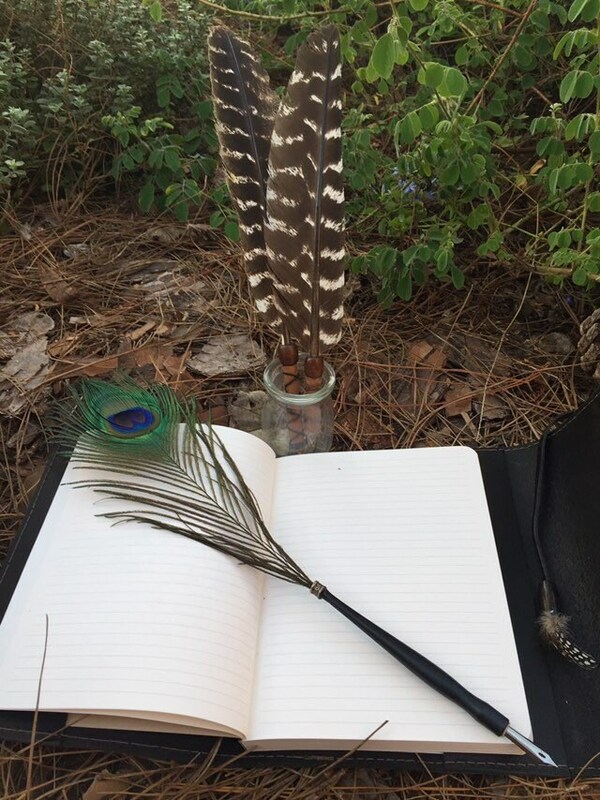 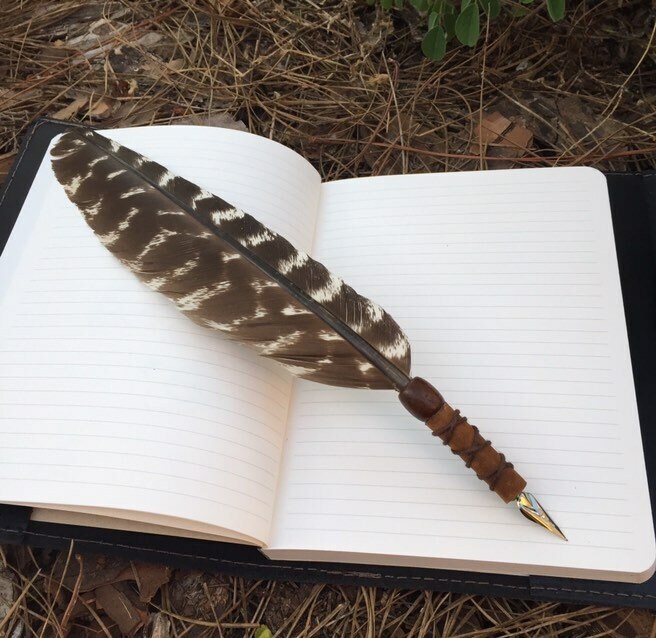 Feather Quill Ink Pen. 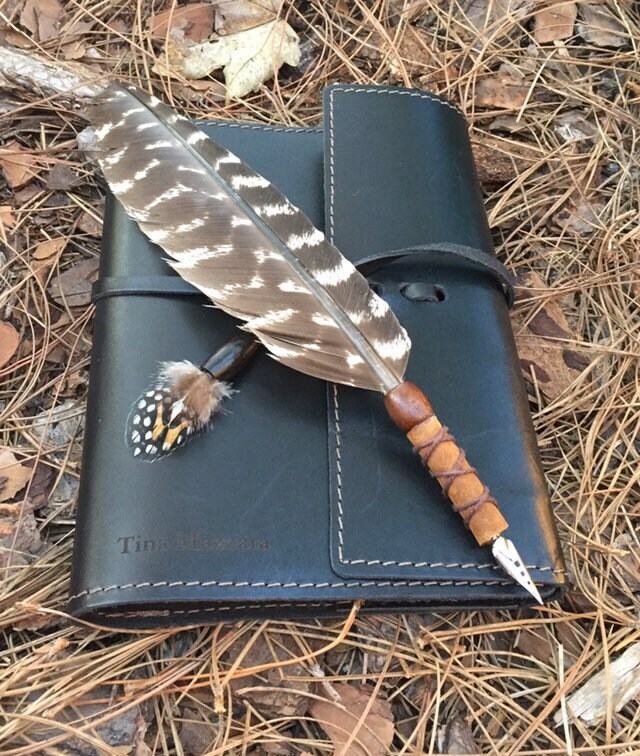 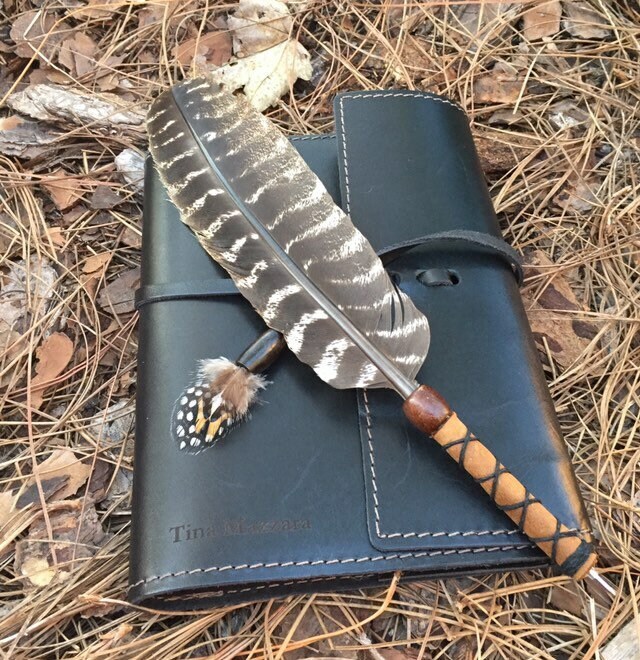 Real Feather Wrapped in Leather. 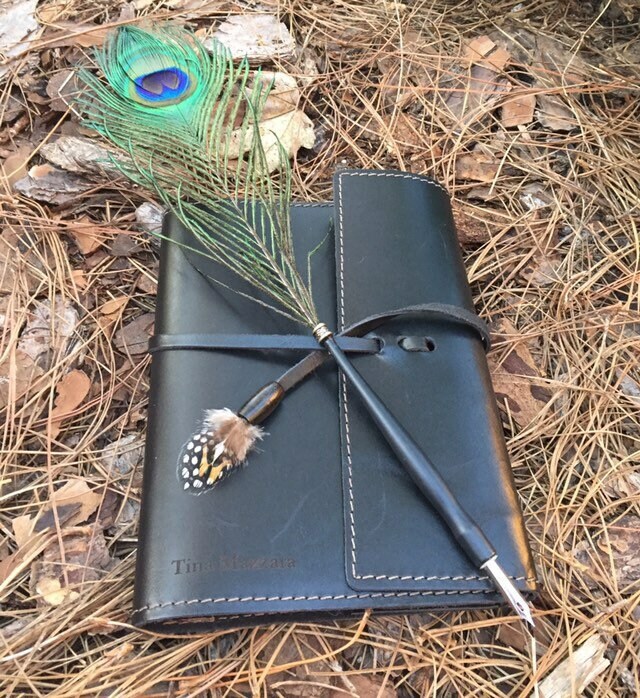 Choice of Turkey or Peacock Feathers. 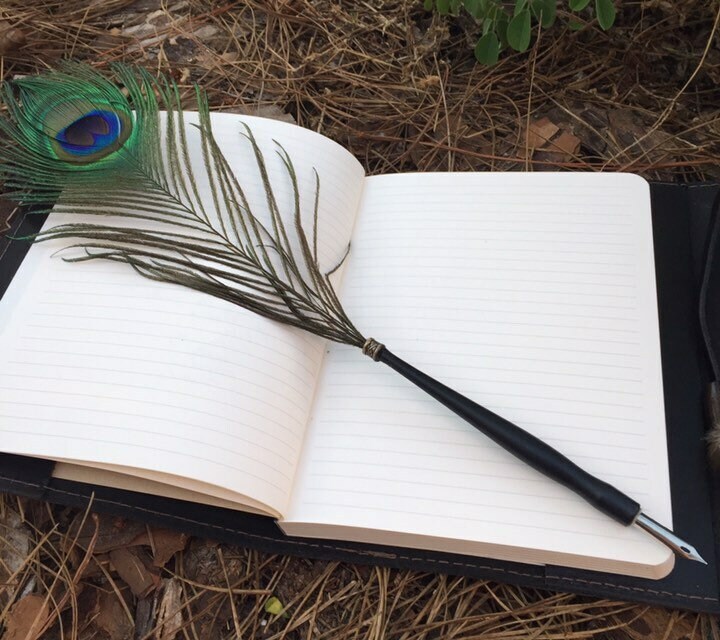 Also come as Feather Ink Pen.